Rhododendron catawbiense ‘Roseum Elegans’ flowers. Rhododendrons are not difficult to grow in South Carolina where the soil and environment are suitable for their culture. Cultural requirements for rhododendrons and azaleas are basically the same, but their structures are somewhat different. Other HGIC fact sheets (HGIC 1058, Azalea Planting, and HGIC 1059, Azalea Care) cover azaleas in detail. This publication will concentrate on the Southern native evergreen rhododendrons and hybrids. Rhododendrons come in many shapes and sizes, from the low-growing Carolina (5 to 6 feet tall), to the large native rosebay (20 feet and more). Some varieties are rounded and compact while others have a loose growth habit. The spectacular blossoms will appear anywhere from early spring to midsummer, with a color range much greater than that of roses – pure white through cream and yellow, apricot and salmon, the softest pinks to deep reds, lavender to deep purple and blue. Some have large trusses 12 inches across; others have blossoms that hang as individual bells. There is wide variation in the shape and color of the leaves. Rhododendrons can be used in an open woodland setting under tall pines or oaks, in a small city garden, as a foundation planting for a suburban home or to landscape a large city building. They can be used as specimen plants, foundation plantings and hedges. Some rhododendrons can be espaliered (trained to grow with the branches growing horizontally against a wall, fence or trellis) or grown in movable tubs. Oaks and pines are the most commonly mentioned companions for this beautiful shrub. They provide a high canopy of filtered shade while still providing the high degree of light intensity necessary for growth. The mulch provided by oak and pine trees breaks down and provides nutrients. The soil should be kept aerated and the ground moist. For those not having these natural conditions, some additional help may be necessary. Rhododendrons have a few requirements: excellent drainage, a soil pH between 4.5 and 6.0, and protection from hot afternoon sun. Site: Plant the rhododendron out of the wind and in dappled shade, preferably from a high cover of limbs that will give filtered shade all day. Some varieties will take a few hours of direct sun in the morning, but most need protection from the intense Southern sun. Trees should be tall enough to be limbed up so the shrubs will get plenty of light. These trees will cut the force of drying winds in winter as well as summer. Drainage is improved by planting on a slope – a northern slope is preferable to a southern slope. When using rhododendron in a foundation planting, avoid southern exposures. The best place to plant is on the north or east side of a building. Soil: The soil for these woodland plants must be well-drained and high in organic matter. Organic matter improves drainage in clay soils and will increase a sandy soil’s ability to retain water and nutrients. Add about 4 inches of pine bark over an area two to three times the area to be covered by the branches of the plant you are setting. Mix it into the top 6 to 8 inches of soil. Planting: The best time to plant is in the fall when the roots have a period to acclimate and prepare for early spring growth. The plant will require a good bit of water during the first year of establishment. Refer to HGIC 1058, Azalea Planting, for planting instructions. Mulch: Mulch helps to retain soil moisture around the roots. As it breaks down, mulch provides nutrients for the shrubs and improves the soil texture. Furthermore, it aids in weed control, eliminating the need to disturb the roots through weeding. A 2- to 3-inch layer of compost, pine bark or pine straw is excellent mulch. Extend the mulch well beyond the outermost branches of the plant. Pull mulch away from the main stem to help prevent disease. Watering: Rhododendrons are shallow-rooted plants and require irrigation during dry periods. This is especially true of those planted in the preceding spring. Rhododendrons planted in warm weather in sandy soils may require watering of the root system twice a week during the first year. Newly planted rhododendrons require regular watering during dry spells for the first several years. 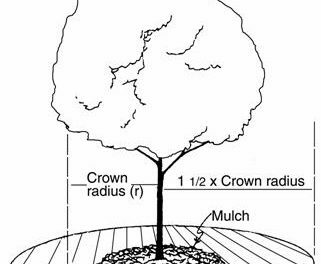 Pull back a small area of mulch beneath the canopy of the plant and check the soil moisture level. When the soil feels dry, wet it to a depth of 8 to 12 inches. Use soaker hoses or drip irrigation to slowly water the base of the plant. Be mindful that rhododendrons in waterlogged soils will decline and become susceptible to root rot diseases. It is important to reach a balance between regular, deep watering and good drainage to promote a healthy plant. Fertilizing: With proper soil preparation and mulching, very little fertilizer is necessary – particularly for the older, established plant. Do not fertilize rhododendrons at planting; newly planted shrubs can be fertilized after they become established. Allow newly planted shrubs one to several months, depending on their size, to begin establishing their root system in the landscape soil before applying fertilizer. Once the shrubs are established, have a specific reason, such as increasing the growth rate or correcting a nutrient deficiency, before deciding to fertilize. Maintaining a mulch layer of compost or other organic material over the roots of shrubs will usually provide sufficient nutrients for adequate growth and plant health. A nutrient deficiency can be exhibited by a number of symptoms including stunted growth, smaller than normal leaves, light green to yellowish leaf color and early leaf drop. Be aware that these same symptoms can be caused by other problems such as heavily compacted soil; stresses from insects, disease organisms and weeds; and excessively wet or dry soil. Fertilization will not correct those problems, so be certain that you know the cause of the symptoms and treat them appropriately. Having your soil tested is one way to determine if applying fertilizer will benefit your shrubs. 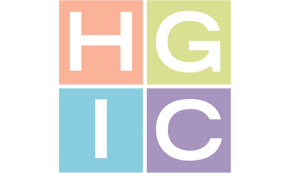 Soil testing information is available in HGIC 1652, Soil Testing. In the absence of a soil test and other cultural or pest problems, use a complete fertilizer with a ratio of 3:1:2 or 3:1:3, such as 12-4-8 or 15-5-15. The best time to apply fertilizer is when it will be readily absorbed by the roots of the plant and when the soil is moist, which can be any time from late spring (after new growth emerges) up to early fall. Fertilize after flowering, especially when using a slow-release fertilizer. Avoid fertilizing plants stressed by drought during the summer months. Without water, plants are unable to absorb nutrients, so it is best not to fertilize if water is unavailable. Since low acidity is of particular importance for rhododendrons, test the soil periodically through your local Clemson Extension office to determine the pH level as well as fertility levels. More information on fertilizing rhododendrons is available in HGIC 1059, Azalea Care. Pruning: Rhododendrons need very little pruning. Remove dead or damaged wood at any time. Pruning to shape the plant or to keep it within bounds should be done after flowering. Deadheading is an important type of pruning. It involves snapping off the dead flower trusses to prevent the development of seeds, which take a great deal of strength from the development of the next year’s flower buds. Break out only the spent blooms to avoid damaging the dormant buds. Another form of pruning is called disbudding. It involves pinching out the terminal leaf bud on new growth, thus awakening dormant buds and causing side branches to appear. Disbudding is done on new growth and can be done again in the fall. Be careful not to break off a flower bud. 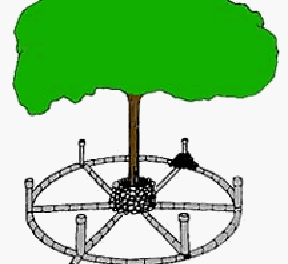 Disbudding is a useful technique in shaping plants or making them more compact. Rhododendrons are susceptible to a wide variety of pests; however, when properly sited, planted and maintained, pest problems are limited. Following two to three years of establishment, rhododendrons require very little maintenance and are relatively pest free. When problems do arise, take care of them immediately, before they get out of hand and worsen or spread to other shrubs. Diseases might include root rot, blight and dieback. A few common insect problems are lace bug, mites and scale. Borers are an occasional, but serious, problem. Homeowners should be on the lookout for this pest. More information on rhododendron diseases and insects is available in the fact sheets HGIC 2050, Azalea & Rhododendron Diseases, and HGIC 2051, Azalea & Rhododendron Insect Pests. Hybrid rhododendrons are usually considered to be the more adjustable for various garden and climatic situations. The crossing of two or more parents gives us a wide range of adaptability from which to choose. The “ironclad” hybrids have proven to be the most cold hardy and often the most heat resistant of the hybrids. A great number of them are descendants of our southern native Catawba rhododendron (R. catawbiense). The hybrids listed in Table 2 are among those that do well in South Carolina. When you plan to purchase a rhododendron, go to or order from a reliable nursery and buy a named variety. The shrub should be well-branched, with four or more limbs close to the ground. Look for self-rooted plants; grafts are not desirable here. The native species are suitable in many areas. A variety with R. catawbiense parentage is usually reliable here, as are the “ironclads.” Chapman’s rhododendron (R. champmanii) is very good for coastal areas. (R. carolinianum) M, P Three to 6 feet tall after 10 years; similar or greater spread. Most common flower color is pale lilac rose; some plants are pure white or pink; blooms late². One of the hardiest native evergreen rhododendrons. Catawba rhododendron or purple laurel or mountain rosebay (R. catawbiense) M, P Four to 6 feet tall at 10 years; usually wider than tall; varies from compact to loose growth. Lilac-magenta flowers late in the season²; 14 to 20 blooms in a rounded truss. Considered by many to be the finest of all native American shrubs. Rhododendron growers know it for its extreme hardiness and as the parent of our most hardy hybrids. (R. chapmanii) All Three to 5 feet tall at 10 years; broad, upright, rounded shrub. Pale pink to rose flowers; late season². Heat tolerant. Rosebay rhododendron or Great Laurel (R. maximum) M, P Four to 12 feet tall at 10 years; loose and open habit. White to pink bloom comes late to very late in the season² and is often hidden by new growth. Flowers are smaller than Catawba rhododendron. Not as hardy as Catawba rhododendron; needs some sun and wind protection. Use as a background shrub. (R. minus) M, P, SR Up to 8 feet tall after 10 years; a loose, upright plant. Flowers generally are bright lavender rose, although some are pale pink or salmon pink. Blooms late, a few weeks after Carolina rhododendron. Heat tolerant; requires plenty of shade. Use in wooded areas. 1Regions of South Carolina: M = Mountains; P = Piedmont; SR = Sandhills and Ridge; CP = Coastal Plains; All = Entire State. 2Seasons: Early = early spring; midseason = midspring; late = late spring; very late = summer. ‘Album’ Grows to 6 feet; tough and vigorous. Midseason² blooms, lilac opening to pure white with greenish yellow spotting. ‘Anna Rose Whitney’ Grows to 6 feet; needs plenty of room. Deep pink flowers in mid- to late season²; heat tolerant. ‘Caroline’ Grows to 6 feet; heat tolerant. Slightly fragrant lavender-pink flowers; mid- to late season². Considered resistant to root disease. ‘Cynthia’ Grows to 6 feet; heat tolerant. Blooms midseason²; rosy pink. ‘English Roseum’ Upright plant to 6 feet; heat and cold tolerant. Light lavender-pink flowers; midseason². ‘Ginny Gee’ Grows only to 2 feet. Heavy flowering; early to midseason²; pink to white flowers. ‘Janet Blair’ Grows to 6 feet; vigorous. Blooms mid-to-late season²; lavender-pink with greenish throat. ‘Lee’s Dark Purple’ Grows to 6 feet. Blooms mid- to late season²; dark purple. ‘Nova Zembla’ Grows to 5 feet; heat and cold tolerant. Blooms mid- to late season²; red. Heat resistant. P.J.M. hybrids Grows to 6 feet; heat and cold tolerant. Blooms early season²; bright lavender-pink. ‘Roseum Elegans’ Grows to 6 feet; vigorous, fast-growing. Rosy-lilac bloom in midseason². Extremely heat tolerant. ‘Scintillation’ Grows to 6 feet; rounded, vigorous shrub. Blooms mid-season²; pink with goldish brown throats. ‘Vulcan’s Flame’ Grows to 5 feet; heat resistant. Blooms midseason²; bright red flowers. 1Best suited for Mountains, Piedmont, and Sandhills and Ridge regions.